Pain, Spine & Sports Care Center (Huntington Station) - Book Appointment Online! The Center for Spine & Sports Medicine is located in Astoria, New York (Queens). Many of the patients we treat are suffering from sports related injuries or chronic and debilitating pain. 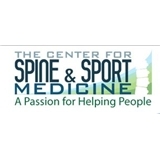 Whether a patient has had a work-related injury, been involved an accident, mild to severe sports injury or maybe is suffering from chronic/acute pain, The Center for Spine & Sports Medicine has made it our mission to help. We offer patients several non-surgical pain relief treatments such as: uch as: * Epidural Injection * Facet Joint Injections * Spinal Injections * PRP * RF Why Choose New York's Center for Spine & Sports Medicine? The Center's founder, Dr. Harhash, is one of the only pain relief doctors who is fellowship trained in both sports medicine and pain management. As a former trauma surgeon for the air force and a trained plastic surgeon, Dr. Harhash's only goal is to help! Time to see Dr after filling up all forms was very long and therefore it needs to be reduced.